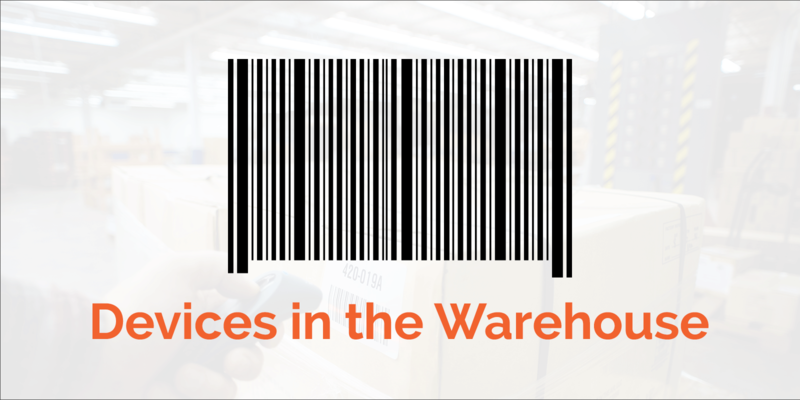 Many warehouse operations—receiving inventory, recording shipments, tracking stock movement, and so on—are now done digitally. Not too long ago, the main issue facing warehouse managers when it came to digital was deciding which proprietary system would be best for their warehouse operating environments. Then two things changed. First, the world went mobile: iPods, smartphones, and tablets took the market by storm, meaning that small computer-like devices were commonplace. Second, companies began moving more and more of their IT functions to third party vendors both to save money and to keep up with the latest technology. This made in-house IT expertise a rare commodity. Again, the question is natural. But it is entirely the wrong sort of question to ask. There are many more types of mobile device than just smartphones. iPhones and Android-based smartphones are just two types of mobile device that have become popular over the years. There are also iPods, iPads, Android based tablets, and even wearable mobile devices. These mobile devices all have very different form factors. Even within device categories there are major differences. There really is no “typical” smartphone anymore. A smartphone released today has more differences with one released five years ago than with today’s small tablets. Devices differ in size, storage capacity, camera quality, number of ports, touchscreen sensitivity, and a number of other factors. All this means that a straightforward comparison to “smartphones” or “mobile devices” is bound either to be superficial, or else over-generalize. Either way, the comparison is not helpful. Holders allow smartphones and tablets to take on different form factors, including one approximating the typical RFID gun, increasing comfort and usability. There are a number of mobile-device-compatible scanners, overcoming the limitations of the average smartphone camera. Mobile devices are now more durable, and additional cases, holders, and films make them even more suitable to rough warehouse environments. Many holders and add on devices come with additional batteries for extended battery life. …which means that software is what matters most. What unites the various kinds of device and their add-ons are the Operating System (OS) types they run. Most devices run a version of either Apple’s iOS or Google’s Android system. Individual apps will run on one of these two systems, and many different kinds of devices—both mobile and non-mobile—can run on each. While smaller individual apps are good for smaller operations, larger facilities need a more robust WMS. Whichever WMS is used will have to be compatible with these operating systems, seamlessly integrating scanning and counting with other important functions. And much of this reflects changing attitudes towards IT. Much of the appeal that smartphones initially had stemmed from the changing role that IT departments were playing in large organizations. Many facilities saw RFID guns, with their specialized hardware and proprietary software, as large capital expenses that required sizeable IT departments to maintain. The hope was that switching to mobile devices would mean cheaper hardware and more options in terms of software. These kinds of decisions were (and are) being made against a background trend of companies shedding their IT departments, choosing instead to purchase IT services from 3rd party vendors on an à la carte basis. With fewer in-house IT resources, warehouse manages have been on the lookout for ways to offload updates, maintenance, and repair. The shift has become even more pronounced with the cloud. Cloud software allows updates to be made on an ongoing basis, meaning minimal disruption of normal operations and a guarantee of up-to-date software. Instead of deploying software solutions on local servers (which need to be maintained), software is hosted off-site, usually by the software’s creators. This has resulted in IT personnel being less involved in maintaining WMSs and inventory systems, and more involved in strategic direction (for example, supply chain planning). New Questions: Does it integrate? Does it scale? Is it fast? So what do these technology trends mean for the average warehouse or logistics facility? More importantly, how do we get beyond the question of “RFID gun vs. smartphone”? Does it integrate? Scanners and tracking devices are most worthwhile when they integrate seamlessly with your WMS and other systems (accounting systems, for example). When looking at a new technology, always see what is involved in that integration. For example, when looking at a WMS, ask whether it is compatible with iOS and Android devices. Does it handle updates from these devices automatically? Does it send reports to these devices in real time? Are the accounting and ordering systems updated as well, or is that another data transfer? Does it scale? Solutions appropriate to small facilities will be less than optimal for larger facilities, or for organizations using multiple facilities. While some small scale native apps would for the former, more robust systems are needed for the latter. The best solutions are designed with scale in mind, able to ramp up with your organization. What will get operations up and running fastest? New technology solutions should decrease time spent on non-revenue-generating activities, including installation, maintenance, and training. Of these, training is often a hidden cost sink. The beauty of today’s mobile technology is that it is ubiquitous: Many people, including the average floor worker in a warehouse, are familiar with the technology. More familiarity mean less training needed, fewer errors, and faster pace of work.